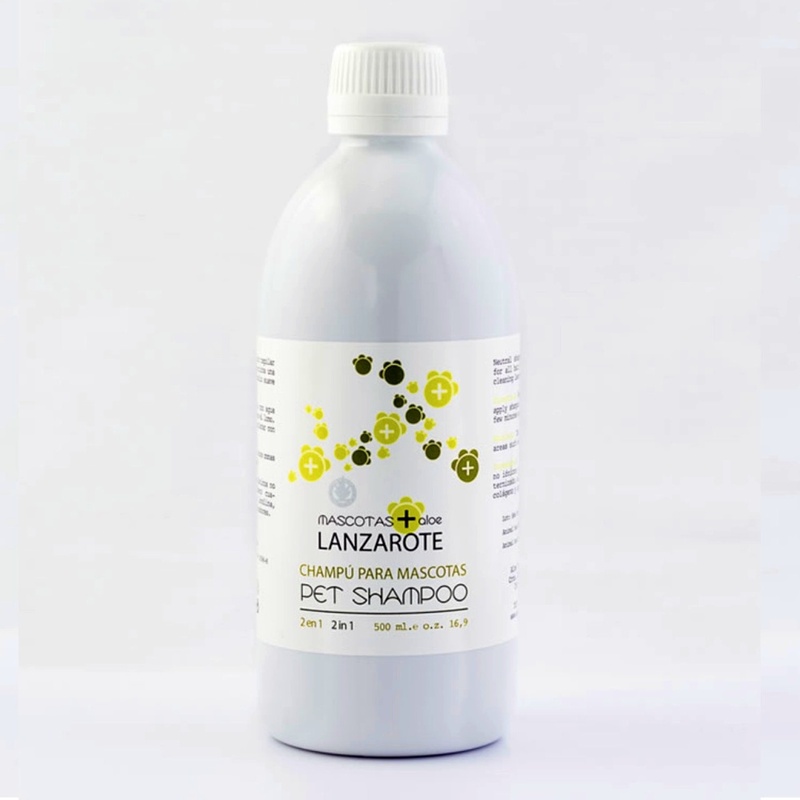 Neutral shampoo with hair conditioner for all hair types. It provides deep cleaning leaving your pet hair soft and shiny. Ideal for sensitive skin and hair. Aloe Vera Gel: It has moisturizing, anti-inflammatory, restorative and healing function. Skin Protector and refreshing, ideal for damaged skin. Lanolin: It is a skin moisturizer that promotes hydration of it. Collagen: it moisturizes and restructures the skin. Conditioning agents: A combination of active conditioners that will make hair smooth and shiny, easier to comb and reducing frizz. Wet the hair with warm water and apply shampoo on the back. Leave a few minutes and rinse thoroughly. Avoid applying on sensitive areas like the eyes and mucous membranes.